Congratulations to the winners of Mozo Experts Choice Awards for the best small business energy plans 2018. These awards recognise the energy retailers offering Australian small businesses with exceptional value for money electricity and gas plans. If you’re looking to lower your business’s gas and power bill or switch over to a solar or green energy plan, this is the place to start your search. 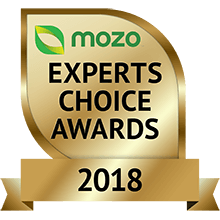 The Mozo Experts Choice Awards have been running since 2014 and recognise products that offer Australians the very best in the market. This is the first year we have included Small Business Energy plans in our awards. For the 2018 small business awards, we compared 133 energy plans from 27energy providers. The award winners named in the table below offer the best value plans in each state in the areas of electricity, solar friendly electricity, 100% GreenPower and gas according to Mozo’s analysis. For details on how we crunched the numbers and determined our winners see our 2018 Mozo Experts Choice Awards Energy methodology report. Congratulations to QEnergy, our NSW Electricity Retailer of the Year. They demonstrated the best overall offering in our research, with their Flexi and Flexi Saver electricity plans among the cheapest in NSW for both households and small businesses. We especially like that they came out on top without the need for the discounts you see elsewhere. QEnergy offers small businesses great prices with no conditional discounts with their Flexi Saver Biz plan. The SmoothPay billing option can make it easier to manage your cash flow month to month. No need to qualify for discounts on this plan, just get great prices. No exit fees and no fee for paying by credit card, Flexi Biz offers the ability to add GreenPower and Solar if your business is looking to cut down on its carbon footprint. While bills must be paid on time to receive the discount on offer, CovaU's Freedom plan provides flexibility for companies with its no fixed contract terms and optional monthly billing periods. A feed-in tariff of 11.1 c/kWh for solar panels attached to your business combined with competitively priced usage charges make the Lumo Business Premium an attractive option to potentially reduce your power bills. With no conditional discounts and an 8 c/kWh feed-in tariff, QEnergy's Flexi Saver Biz delivers a straightforward and competitive electricity offer for small businesses with solar panels. The best combination of guaranteed discounts, tariffs and Greenpower cost from a retailer that has publicly committed to move towards a decarbonised electricity industry. Pay your bills on time to receive the maximum discount benefit on CovaU's Freedom gas plan for small businesses. Additionally, no fixed contract term provides flexibility. Tango Energy is our Victorian Electricity Retailer of the Year. Their Select and eSelect electricity plans took out several awards for being among the cheapest in Victoria - for households and small businesses and also for customers looking for a great solar deal. We salute Tango's approach to pricing, where they offer low tariffs and don't need to rely on discounts. Alinta Energy provides hefty discounts to businesses happy to ensure they pay their bills on time with this 7 offer. With a $50 sign up bonus and a simple pricing structure guaranteed not to budge for 2 years, Tango Energy's Business eSelect offer presents an attractive offer for business looking to cut costs. Tango Energy's Business Select offer combines the stability of 2 years of locked-in electricity prices and the flexibility of monthly or quarterly bills that can be paid either online or using traditional paper bills. An attractive pay on time discount and a 11.3 c/kWh feed-in tariff combines to help committed small businesses get the most of out their solar panels while still getting a great rate with Alinta Energy. Also offering a 11.3c/kWh solar feed-in tariff, Tango Energy's Business eSelect provides a $50 sign up bonus and great rates for those happy to pay online monthly. The Tango Energy Business Select plan offers the same 11.3 c/kWh feed-in tariff, with flexible bill terms and payment methods as well as straightforward pricing structures. Add AGL's 100% Green Choice to their Business Savers plan and you have the best combination of guaranteed discounts, tariffs and Greenpower cost from a retailer that has publicly committed to move towards a decarbonised electricity industry. With no contract term and great no-strings attached rates, the Lumo Basic business gas plan offers a simple and affordable way to potentially keep the heat running at your company. Lumo Business Premium offers the same great rate as the Lumo Basic plan, but with no fees on credit card payments, even American Express! Alinta Energy provides sizable discounts to businesses happy to ensure they pay their bills on time with its Business Saver offer. With a massive 16 c/kWh in solar feed-in tariffs, no exit fees, no lock in contract and great electricity rates, it's no wonder Lumo was presented the solar-friendly electricity award for its Basic plan. The Lumo Advantage Premium offer provides a healthy discount for business happy to pay bills on time the same attractive 16 c/kWh feed-in tariff rate. Additionally customer gain access to a rewards program with discounts on gift cards, movie tickets, hotel and holiday packages. With a guaranteed discount on gas usage changes and no exit fees, the AGL Business Savers offer provides great non-conditional rates for your small business. Powershop do things differently, and in this case that's a good thing. By virtue of their Mega Pack bulk pricing, they are among the winners in electricity whether you are a householder or a small business. Buying 3 months of energy ahead of time gets you Powershop's best prices, and if you decide to leave before using up the power you've paid for any leftovers are refunded. Even if you don't buy the Mega Pack, Powershop's Power Saver rates still beat the competition. For small businesses with existing solar, Powershop's Mega Pack rates combined with their standard feed-in tariff of 9.5c/kWh is worth checking out. EnergyAustralia's solar feed-in tariff is a generous 16.1 c/kWh, so this is another great option depending on the balance between the power you buy from the grid and how much you feed back in. Add 100% GreenPower to Powershop's Mega Pack and you have the best combination of guaranteed discounts, tariffs and Greenpower cost from a retailer that has publicly committed to move towards a decarbonised electricity industry. A guaranteed discount on usage combined with market leading rates makes Origin Energy's BusinessSaver an attractive solution for business looking to cut down on their gas bills. EnergyAustralia's Everyday Saver Business offer provides competitive prices and discount on usage without having to met payment criteria. If you're keen to stay on top of your bills to receive reduced usage rates on your electricity plan, look no further than the Flexi Saver Business Plan from EnergyAustralia. The Energy Locals Small Business Save Me offer delivers a huge 12.87 c/kWh feed-in tariff on the first 10,000 kWh of electricity exported from your business' rooftop, 9 c/kWh thereafter. Paired with competitive energy rates, it's a winning combination. Add 100% GreenPower to Energy Locals' Small Business Save Me, and you have the best combination of guaranteed discounts, tariffs and GreenPower cost from a retailer that has publicly committed to move towards a decarbonised electricity industry. The winning energy plans are those that provide the cheapest energy at the time of judging, for a set of small business customer scenarios. Our scenarios covered each of the different distributor areas in each State (because prices differ) and we assumed small business electricity usage of 20,000 kWh/year and gas usage of 100,000 MJ/year. Cost calculations were based on single rate tariffs, guaranteed discounts and any conditional discounts for paying on time, direct debit, paying online or in advance, or e-billing. Discounts for combining gas and electricity plans were not included. Were all small business energy plans in the market compared for these awards? We have made an effort to cover the vast majority of well-known energy retail brands in our analysis but we won't have covered every single electricity and gas plan available. The full list of the 27 small business energy providers we did include in our analysis can be found in the methodology report. Were sign-up offers included when determining the winners list? No, upfront one-off credits or incentives were not included in the cost calculations. Were all states and territories included in the Mozo Experts Choice Awards? No, we only considered products that are available in deregulated energy markets. This includes NSW, Victoria, South Australia, the ACT and in the contestable market in SE Queensland covered by the Energex electricity distribution network. What was the criteria for the small business Solar-friendly Electricity category? These awards recognise those products that provide the cheapest energy for business customers with existing solar panels, after making an allowance for feed-in tariffs for selling excess energy to the grid and well as the cost of buying electricity from the grid. For small businesses we assumed an average 8Kw system in the relevant State capital and that 50% of the solar-generated energy was used by the business, the rest sold to the grid and none stored. How did you judge the award for Green Electricity? To find the best value plans and the award winners in this category, we compared the available plans that were available to business with 100% GreenPower. GreenPower is a government accredited program that enables your electricity provider to purchase renewable energy on your business’s behalf. When you buy GreenPower, the energy you are buying is helping to develop new infrastructure in the renewable energy sector. We calculated the overall cost of such plans including both the base tariff and the additional GreenPower tariff. In addition retailers are only eligible for our Green Electricity awards if they achieved certain ratings in the Green Electricity Guide 2018. These are detailed in our methodology report. Do energy providers pay to be included in the awards? I work for a small business energy retailer, how do we promote our win?